Thanks to Felix Ortag ( Vienna University of Technology ) for his help in this. We have added this url to the Commission’s website (Thanks to Thierry Badard) as I believe over time, this will be an excellent way to keep the news and events updated. If you wish to keep updated on the Commission’s activities, please subscribe to the blog. Professor Georg Gartner, President of the International Cartographic Association (ICA) and Arnulf Christl, President of OSGeo shake hands after signing the Memorandum of Understanding between the two organizations. The GIS and Remote Sensing Centre (University of Girona, Spain), Nottingham Geospatial Institute (University of Nottingham, UK) and OpenGeo are organising the Third Open Source GIS Summer School in July 9-13th 2012 at Girona, Spain. Building on the success of previous editions , this year’s program which will be focused on the development and creation of Open Web Mapping Services and Web applications. We will be strongly supporting this excellent initiative. The course has been designed and will be conducted on a GNU/Linux operating system based on the use of the OSGeo-Live DVD. 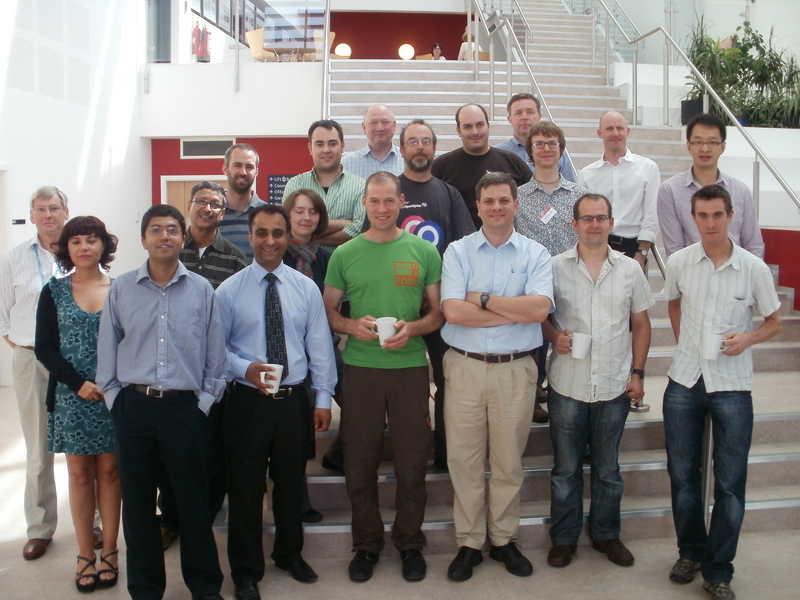 We welcome participation from all for the Open Source GIS Summer School. Thanks to efforts of Dr Tuong Thuy Vu (Head of Open Source Geospatial Lab, Malaysia) , Prof. Dr. Franz-Josef Behr(Stuttgart University of Applied Sciences) and colleagues, FOSS4G South East Asia – “Open Source Tools and Application in Southeast Asia” http://foss4g-sea.org/ will be held in conjunction with AGSE 2012 on July 18-19th in Malaysia. This will build more research collaborations and start process to establish Open Geospatial Labs in other key universities in Malaysia and the region in the next 1-2 year time frame helping us build a strong network of research labs for scaling up research and teaching for the future. We welcome participation from all for this initiative. The Commission organised a very successful workshop at AGILE 2012 in Avignon, France . Thanks to Barend Köbben and ITC for putting together the course materials (presentations, exercises, etc.) and for making all arrangements for making this a great success. All the workshop materials from the Open Source GIS workshops at AGILE 2012 are now available at http://kartoweb.itc.nl/kobben/AGILE-OSGEO-workshop/ for the benefit of the wider community. In 2011, the International Cartographic Association (ICA) signed a Memorandum of Understanding (MoU) with the Open Source Geospatial Foundation (OSGeo) with the aim to developing global collaboration opportunities for academia, industry and government organisations in the field of open source GIS software and data. The MoU aims to provide expertise and support for the establishment of Open Source Geospatial Laboratories and Research Centres across the world to support the development of open source geospatial software technologies, training and expertise. The Open Geospatial Lab at Federal University of Paraná will be led by Prof. Silviana Comboin . Silviana has strong research background in Geospatial Science, SDI and GI standards. Previously she was working at the Brazilian National Mapping Agency before moving to Federal University of Paraná as a professor at the Geomatics Department. She also coordinate the Standards Workgroup of the Brazilian NSDI (INDE). She also have a strong team and action plan in place for building this initiative for Brazil and South America. The initial team of Open Geospatial Lab at UFPR will comprise of Prof. Dr. Luciene S. Delazari ,Prof. Dr. Maria Cecilia B. Brandalize , Prof. Dr. Claudia Robbi Sluter , André Luiz Alencar de Mendonça and Gisele Canova (IBGE – Brazilian Institute of Geography and Statistics). The first African open source geospatial laboratory, under the auspices of the ICA-OSGeo Memorandum of Understanding (MoU), was recently established at the Centre for Geoinformation Science (CGIS) at the University of Pretoria in South Africa. CGIS engages in open-source research for geospatial software and data, either using open-source geospatial software and data as tools in research, or contributing to the software and data through research. Open source software and data are also used in formal tertiary education and continued education courses at the university. Other research themes in CGIS are forensic geography; space geodesy, earth and atmospheric observation; and spatial data infrastructures. CGIS is led by Dr Serena Coetzee who is looking forward to receiving Prof Georg Gartner, President of the ICA, and Arnulf Christl, President of OSGeo, at the CGIS later this year when they will be in South Africa as keynote speakers at the GISSA Ukubuzana 2012 conference in Ekurhuleni, Johannesburg. 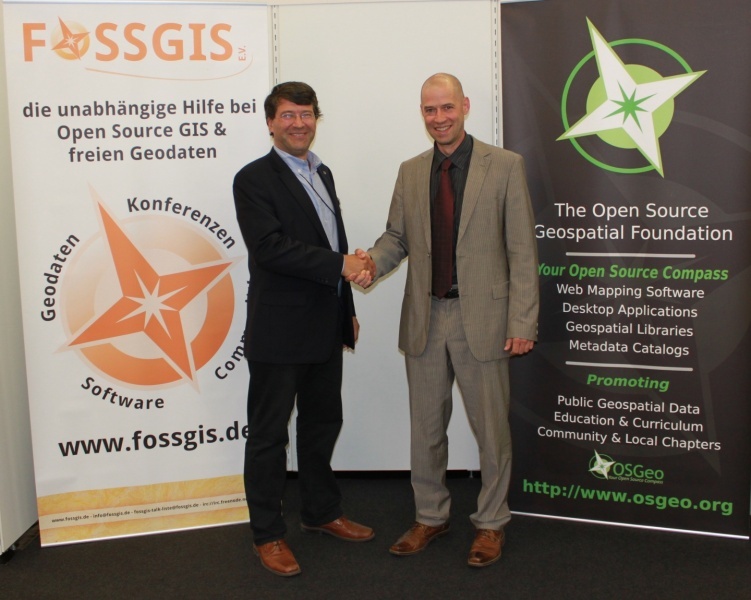 In 2011, the International Cartographic Association (ICA) signed a Memorandum of Understanding (MoU) with the Open-source Geospatial Foundation (OSGeo) with a view to develop global collaboration opportunities for academia, industry and government organisations in the field of open-source GIS software and data. The MoU aims to provide expertise and support for the establishment of Open-source Geospatial Laboratories and Research Centres across the world to support the development of open-source geospatial software technologies, training and expertise. The goal is to establish five laboratories in Asia, Europe, Africa, the Americas and Australasia during the first phase. These will act as nodes for future expansion. The MoU also aims to provide support for building up and supporting the development of open-source GIS teaching and training materials, and the joint organisation of open-source GIS events and workshops through the ICA network in order to encourage wider participation globally.